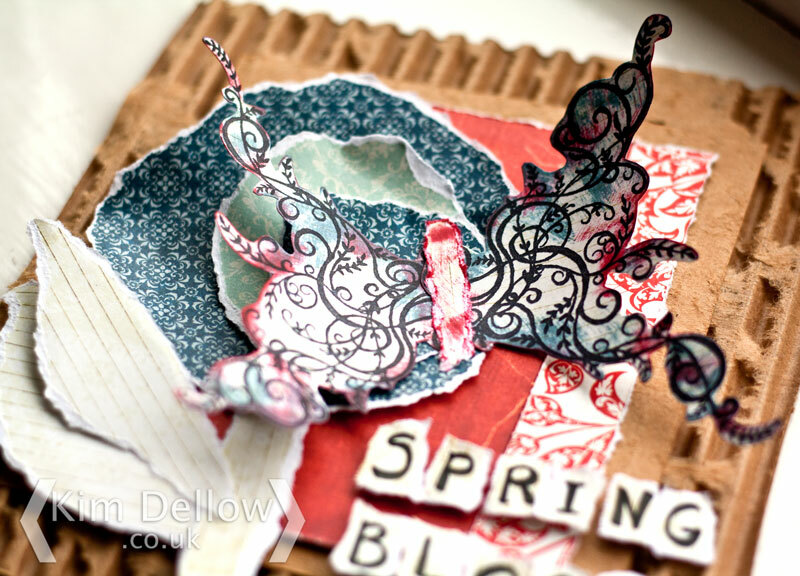 Time here on the blog for some catching up with DT work for Creative Expressions. 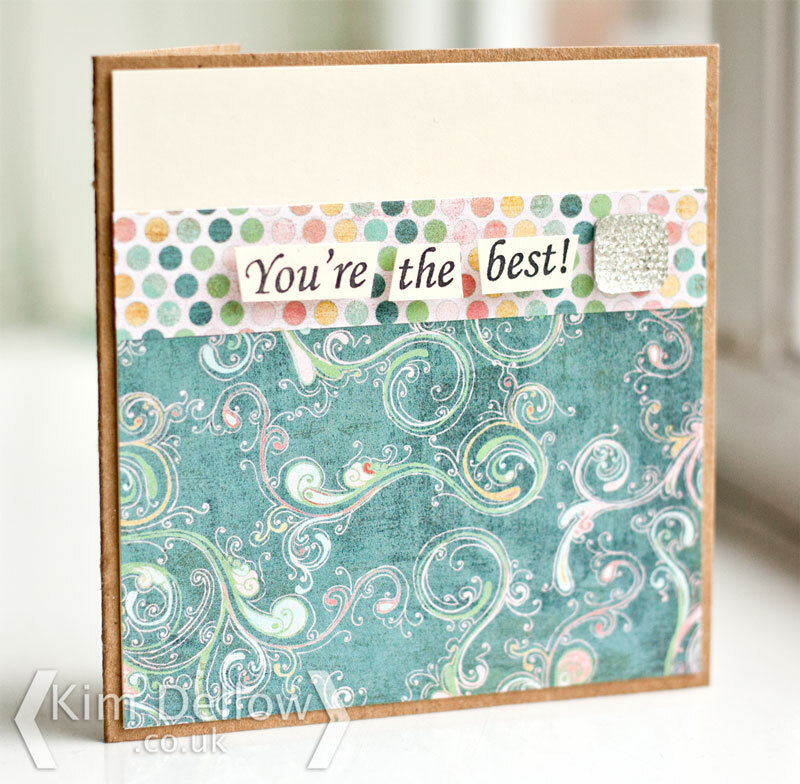 This week I have two cards to show you using some of the Creative Expressions Single Stamps range. 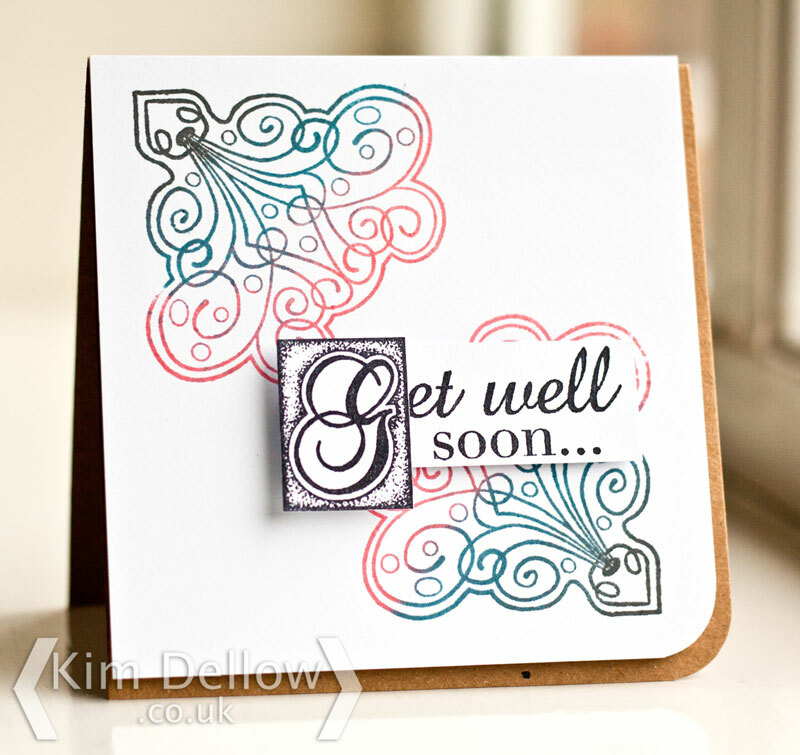 First up is a make using the sentiment from the Cut Glass Vase stamp set. I’ve added a Creative Expressions Dazzler as well. 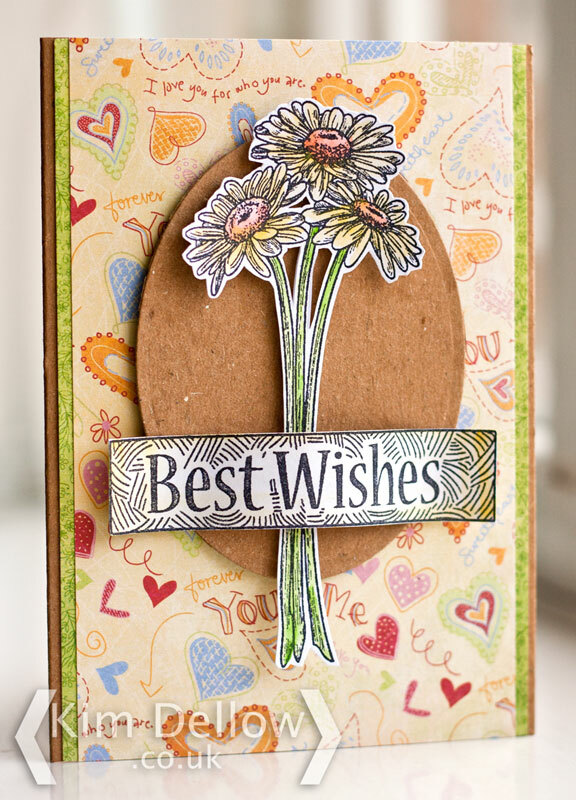 uses the Daisy Spray stamp set and the sentiment from the Best Wishes stamp. Have a fun creative week. Hi Guys, hope you are having a fun week. I’ve got a quick show and tell for Creative Expressions this week. 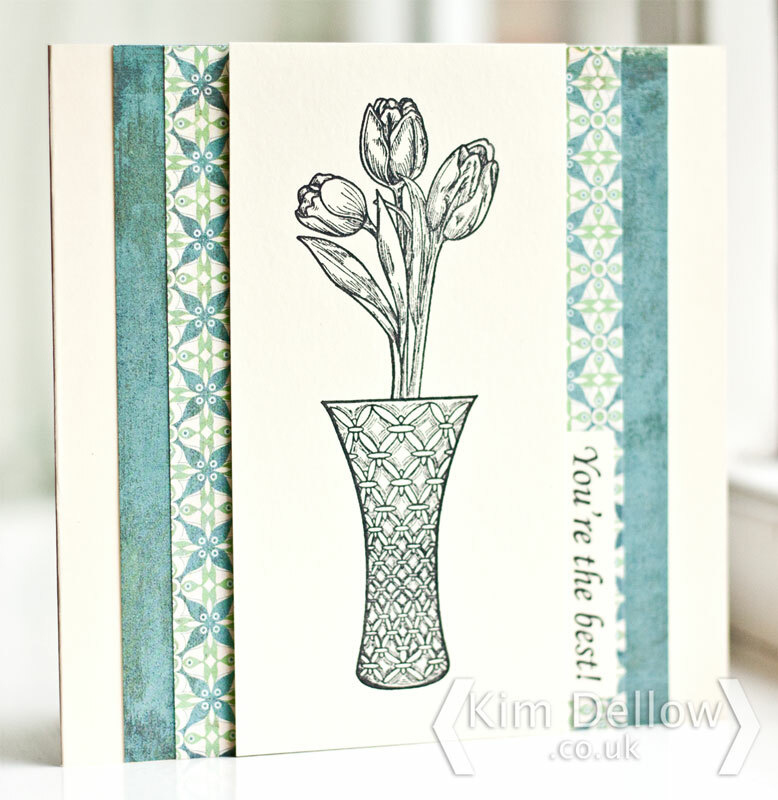 The DT are on a new kit and in this month’s kit there are some of the flower stem flowers from the Creative Expressions Single Stamp range. 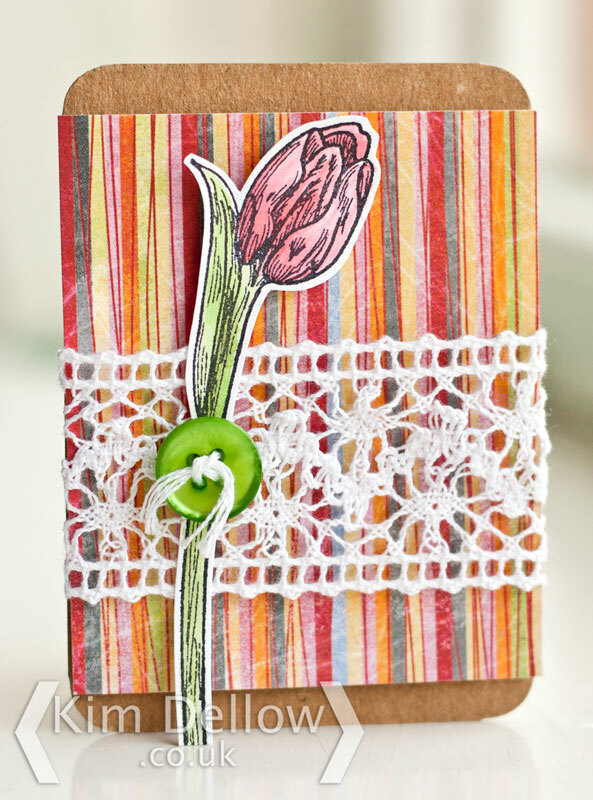 This single stem tulip comes from the Creative Expressions Tulip Spray Set of 2 stamps. The crochet ribbon is also part of the Creative Expressions catalogue too. 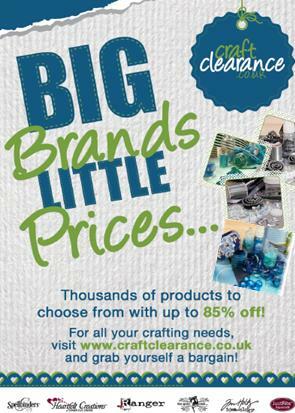 As I said it is just a quick CE post this week but before I go you might want to know about the new Craft Clearance website from Creative Expressions lots of quality product at knock down prices so worth a check. Have a fabulously crafty Wednesday. 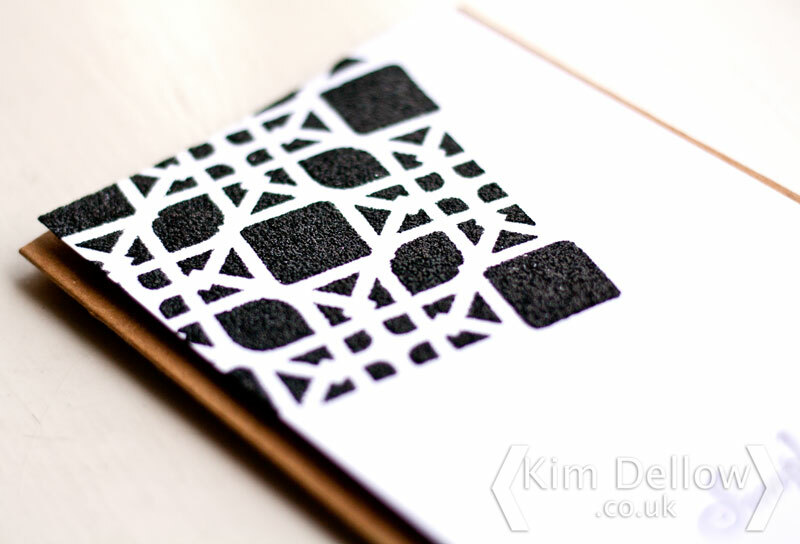 Hope you enjoyed the blog post over on the Craft Stamper blog about my Creative Process, I’ve certainly been enjoying your comments and thoughts on your creative processes. I mention that blog post because my creative process for this Creative Expressions make today was a lot more organic and quite different from that for the Spoon Angel Article. 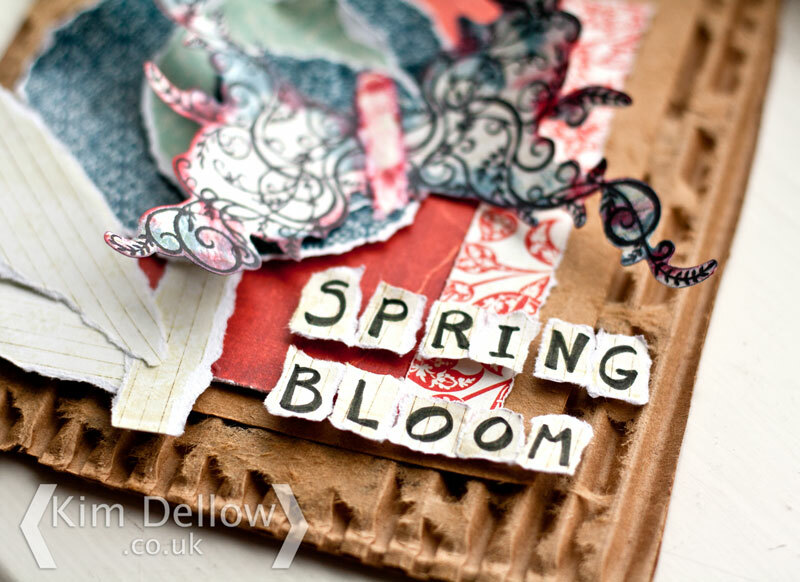 This make started with a piece of packaging that as I was taking it to the recycle bin became a Spring picture using paper piecing in my head and so this make was born. The piece of packaging was the size you see it here (16 cm by 19 cm), I did not cut it down but I did peel off the top layer, trimmed that down, turned it over to hide the label on it and stuck it back on to the corrugations. I then added some layers of patterned paper, using up some of my stock of older papers and tore out the flower, leaves and stem shapes. The giant butterfly uses the Creative Expressions Singles stamp Ivy Corner Stamp stamped out twice and edged with Ranger Archival ink. This stamp set has a little ladybird in it as well by the way. The sentiment is hand written on scraps of patterned paper and stuck on with 3D-foam for some dimension. This piece kind of grew itself from a short work to the recycle bin to a re-purposed piece of packaging. 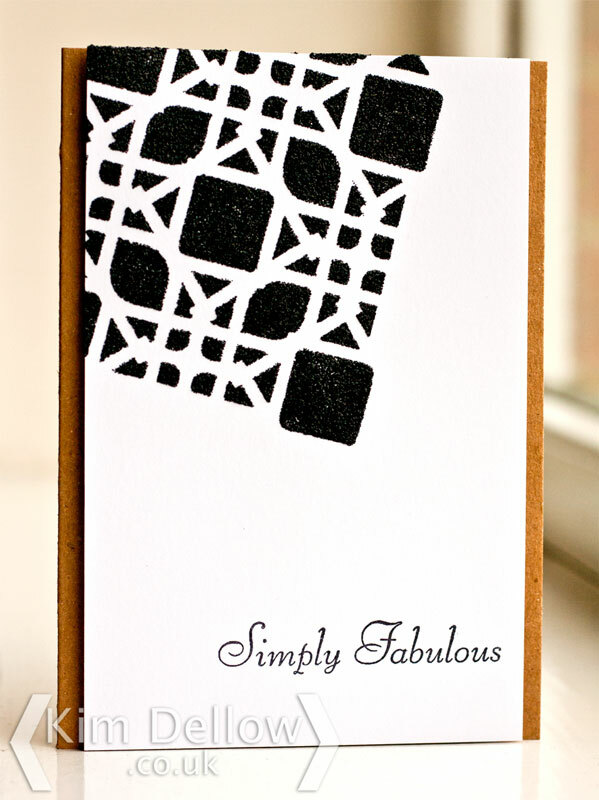 Well you guys know how much I love corrugated card! Thanks for popping in today and if you still feel like sharing I always love hearing about people’s creative processes so feel free to tell me yours if you haven’t done so already. Time for a bit of Spring Sparkle I think! It has been lovely and sunny here in London so I’ve been soaking in the rays and I thought I would share some of the sunlight with a bit of Sparkle for my Creative Expressions make this week. Do you want to know how I made this one? Well it was a bit of a fun experiment. 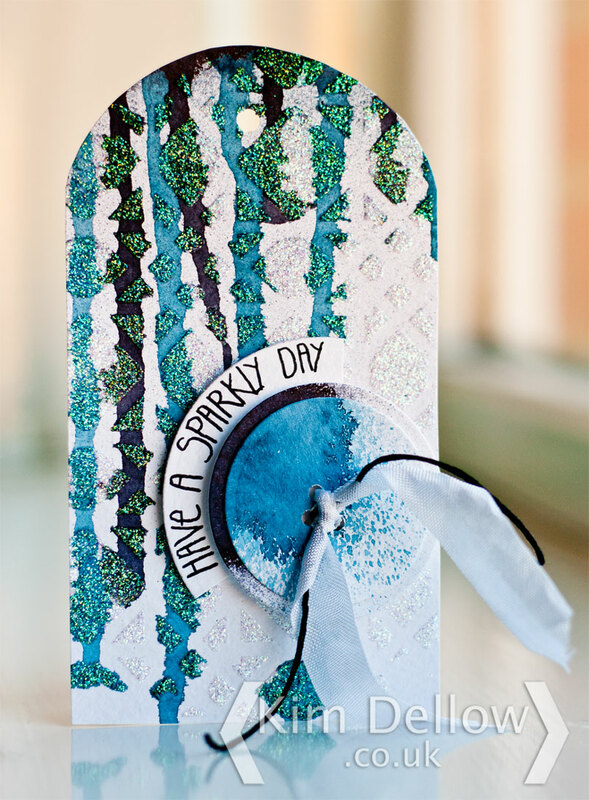 I wanted to see what would happen if you dripped ink over the Cosmic Shimmer Sparkle Pastes so I started by adding a layer of the Aurora Cosmic Simmer Sparkle paste onto some textured card through the That Special Touch Mask Treilliage and let it dry completely. 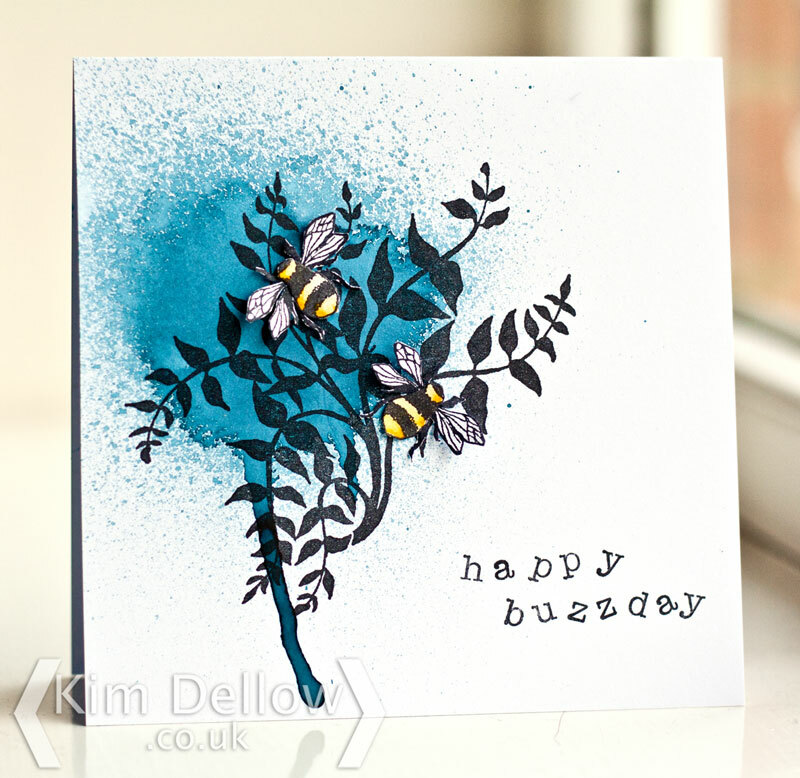 I then dripped some of the Cosmic Shimmer Vintage Ink Spray Mist Arctic Blue and Cosmic Shimmer Ink Spray Mist Black over the card to get that lovely inky pattern over the surface. I love where it has hit the sparkle texture paste and spread out a little. The aurora sparkle paste has a great shine to it that reflects different colours as the light hits it at different angles, really pretty. Hope you all have a lovely sparkly day. 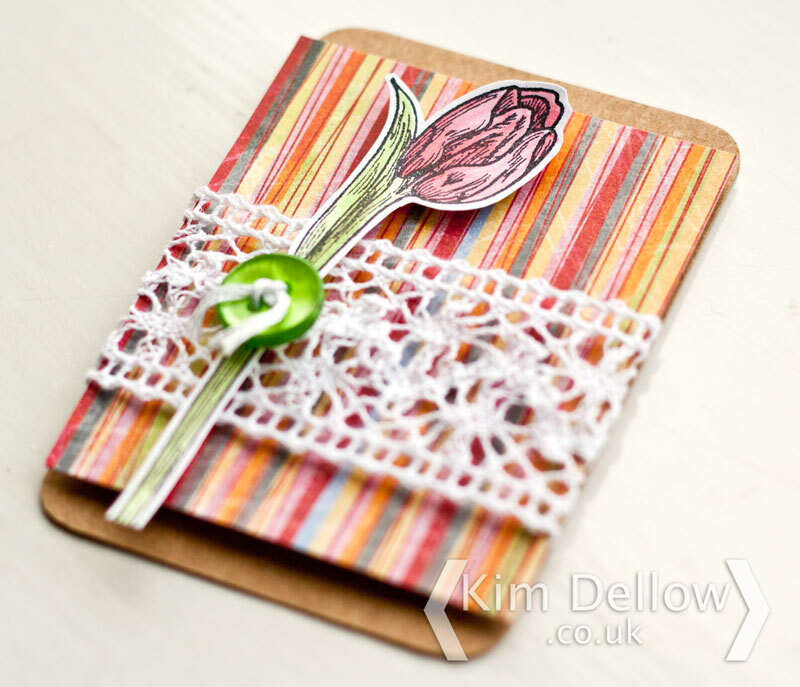 April is here and with it a new DT package for the new month from Creative Expressions. 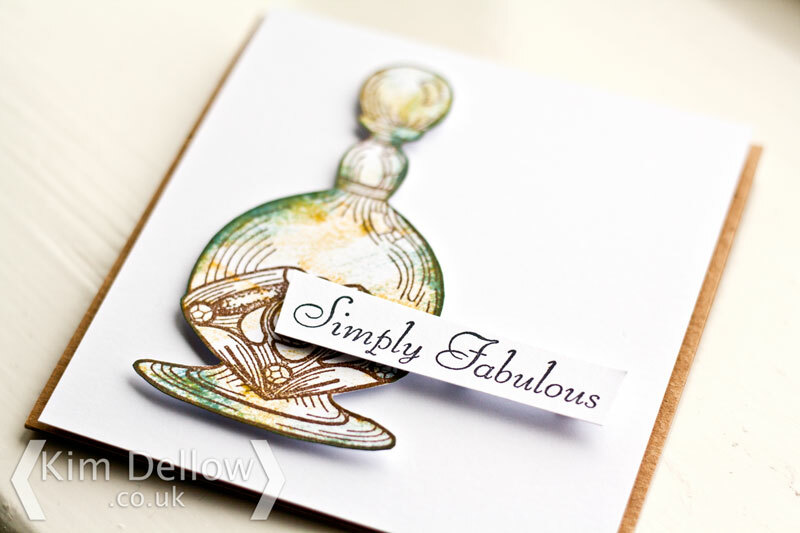 This month I have a couple of Cosmic Shimmer Ink Spray Misters and a couple of stamps from the Creative Expressions Singles stamp range to share with you. 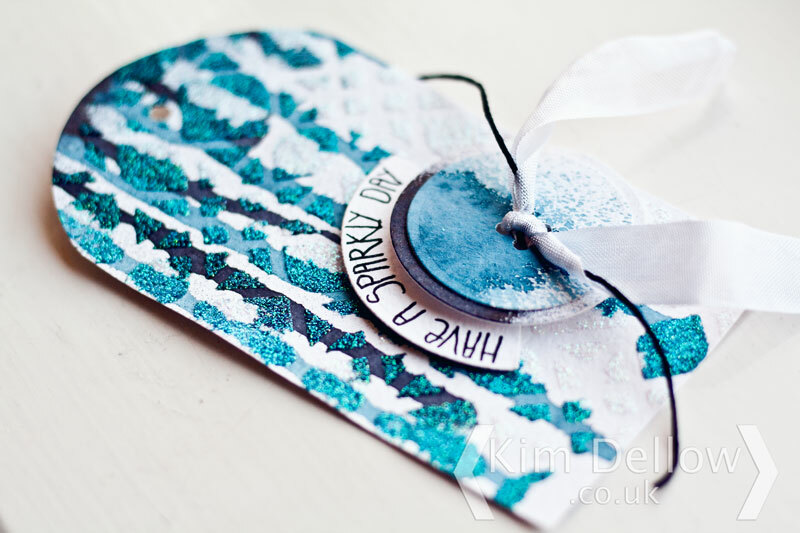 The inky spray is the Arctic Blue Vintage colour from the Cosmic Shimmer Inky Spray Mist range and the stamp is called Botanical Spray and you get the leafy sprig plus a separate bee stamp in this set. I do love bees! 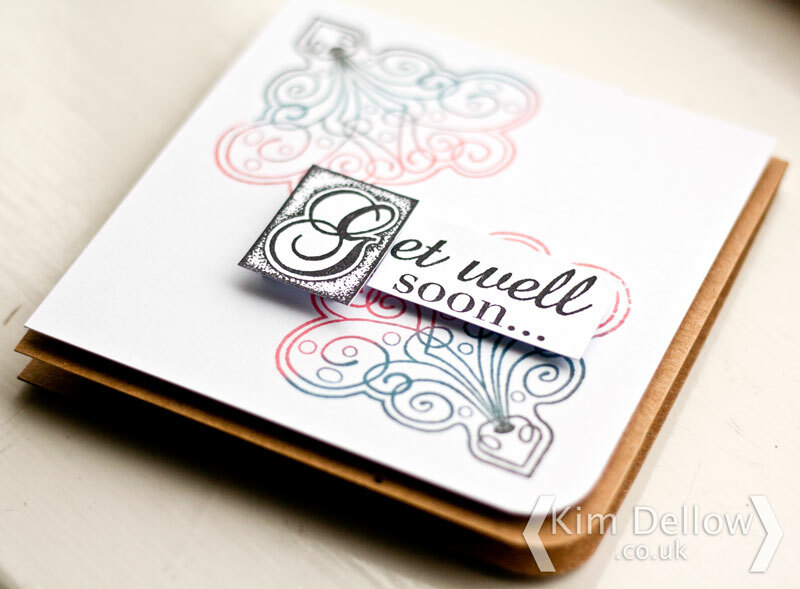 The sentiment uses some alphabet stamps that I already had in my stash. This card is already earmarked for a friend’s birthday in a few days time but I don’t think she reads my blog so I should be safe to show it to you all! 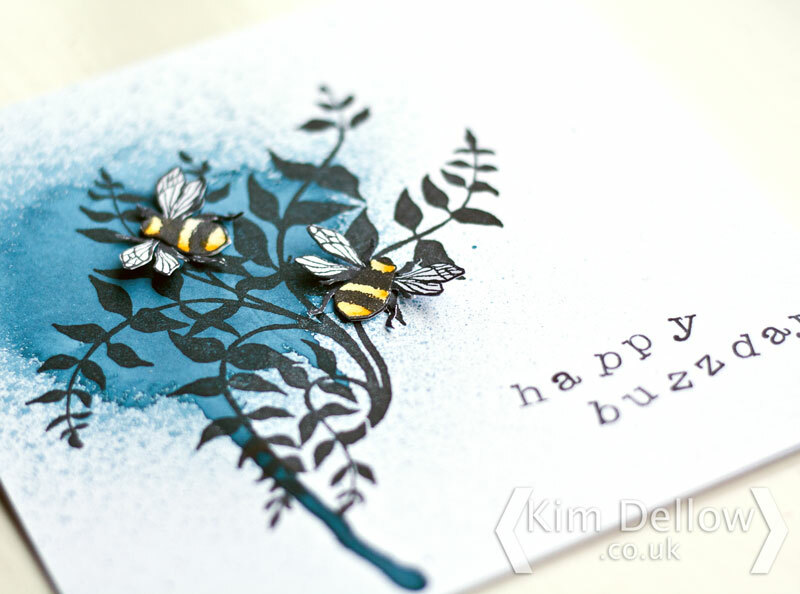 Hope you are all keeping Buzzy! 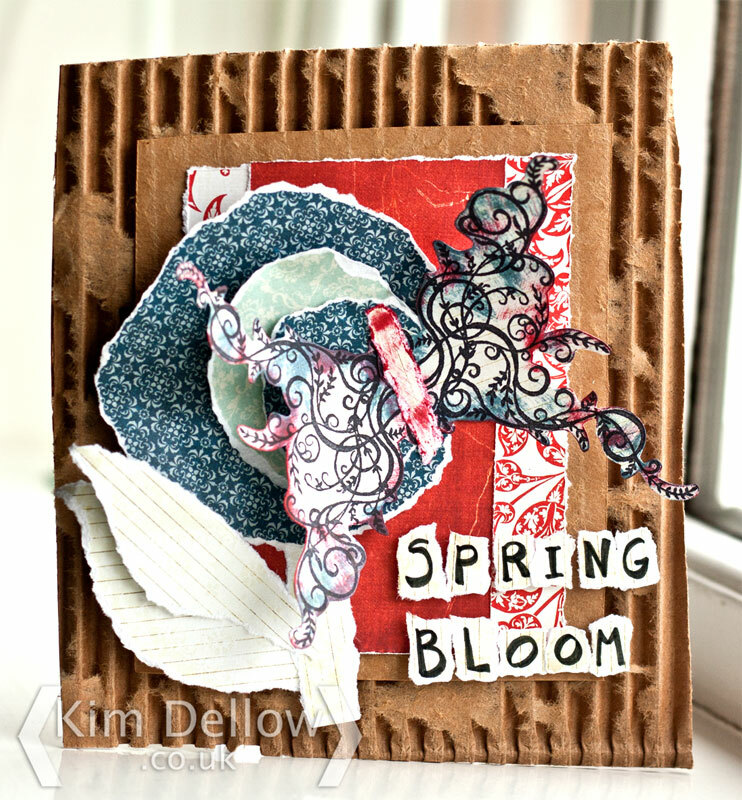 Time for my last DT make with the Creative Expressions March DT kit of Sue Wilson Stamps and this week I’ve used the Art Deco Delight stamps. You get the bottle and the sentiment in the kit and I’ve used Ranger Archival ink to stamp and lightly colour the image. 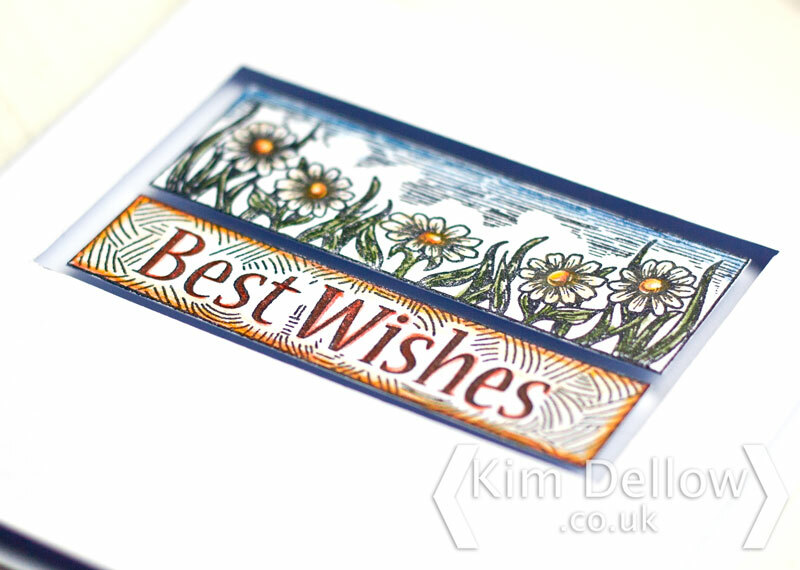 You will spot the Ranger Archival Coffee, Jet Black, Saffron and the Wendy Vecchi Cornflower blue inks I’ve used in this make. 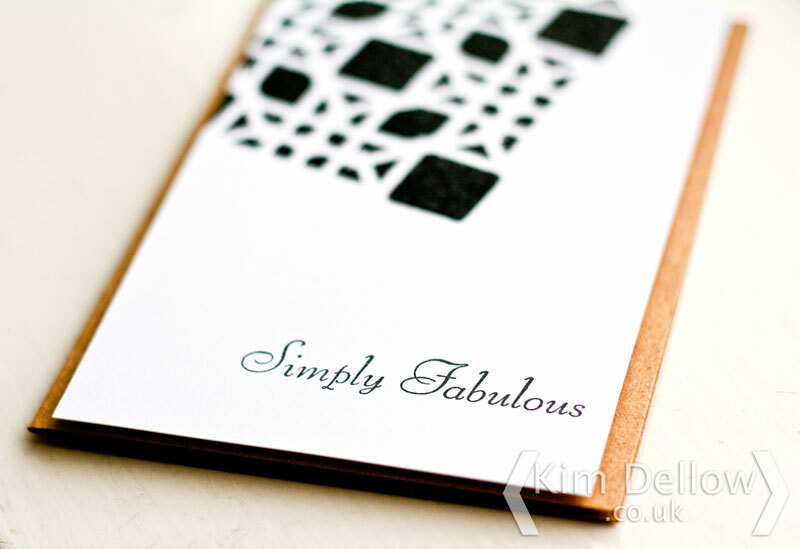 Stay simply fabulous today and catch you all later. 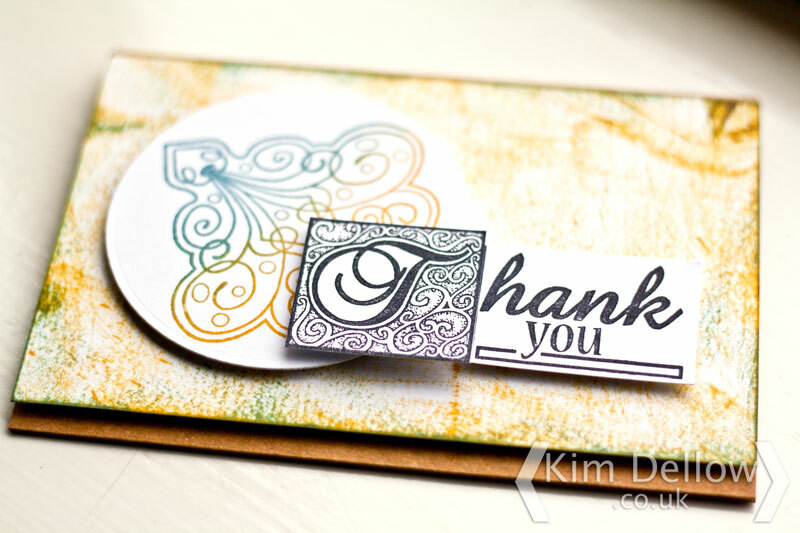 Thank you lovelies for popping in today to see my DT make for Creative Expressions this week. 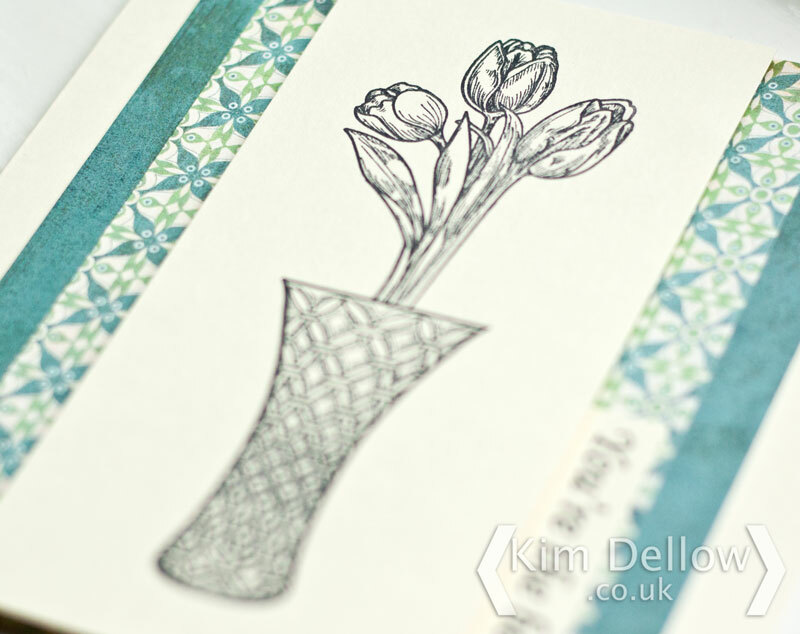 Yep it is a thank you card using the new Sue Wilson stamps that you can find in the Creative Expressions pre-cut singles stamp range. I’ve matched the Scented Corner stamp with the Thank You sentiment stamp and the colours are all Ranger Archival ink pads again. You will spot the Ranger Archival Jet Black, Saffron and the Wendy Vecchi Cornflower blue inks. I always want to say thank you to my lovely visitors, hope you all have a lovely day.